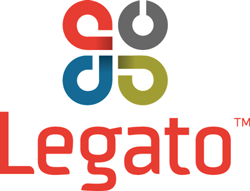 The Legato™ platform gives embedded M2M development a head start and is ready to run, build, and connect out-of-the-box. Made up of a tightly integrated application framework, fully tested Linux distribution, and feature rich development environment, the open source Legato platform accelerates application level development of connected devices. Start developing immediately with the Legato platform that has been integrated, tested and validated. The Linux distribution supports next generation AirPrime® WP and AR Series of smart modules, so Legato comes ready-to-run without any porting. Available in open source, Legato future-proofs software investments by easily porting the stack to any module or application processor as product requirements evolve. With security and connectivity built in and customizable middleware components, the platform simplifi es development by enabling OEMs to just focus on the value-add applications. Designed for connected products, the Legato platform makes it easy to get device data to the enterprise thanks to seamless integration with the AirVantage® M2M Cloud. For devices, Legato provides access to device peripherals like USB or Ethernet out-of-the-box. And robust API’s make it easy to connect to any cloud or network – whether mobile, wired, or personal.